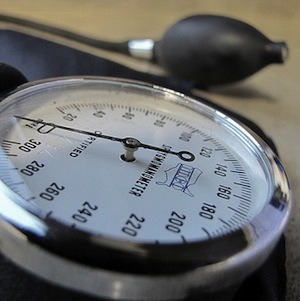 Did you know hypertension (high blood pressure) is the most common reason to visit a doctor, and is also the number one reason for taking medication? Dubbed, the “silent killer”, because it often does not have any overt symptoms, hypertension is associated with 1000 deaths PER DAY in America. 30% of cases of high blood pressure are due to high salt intake. By modifying your diet to a low-sodium diet, you can decrease your blood pressure. Note: High salt diets are associated with consuming processed and fried foods (fries, cured meats, hot dogs, pizza, chips, etc.) NOT with being “heavy handed” with the salt shaker. 1-2 squares of dark chocolate (minimum of 70% cocoa) can help decrease high blood pressure. This is because it contains compounds that actually cause vasodilation (the blood vessels start to get larger and thus the pressure goes down). In the San Blas Islands off of Panama (a country in Central America), the Kuna Indians have 80% less heart disease than the rest of the people in Panama. They are NOT genetically resistant to developing hypertension, but eat 10x more cocoa than their Panama counterparts. (Note: raw cocoa is very different than the typical chocolate we consume). There are many other ways in which we can lower blood pressure and lower our risk of heart disease. By: Dr. Rahim Kanji, N.D.
Facebook: Dr. Rahim Kanji, N.D.